Gov. 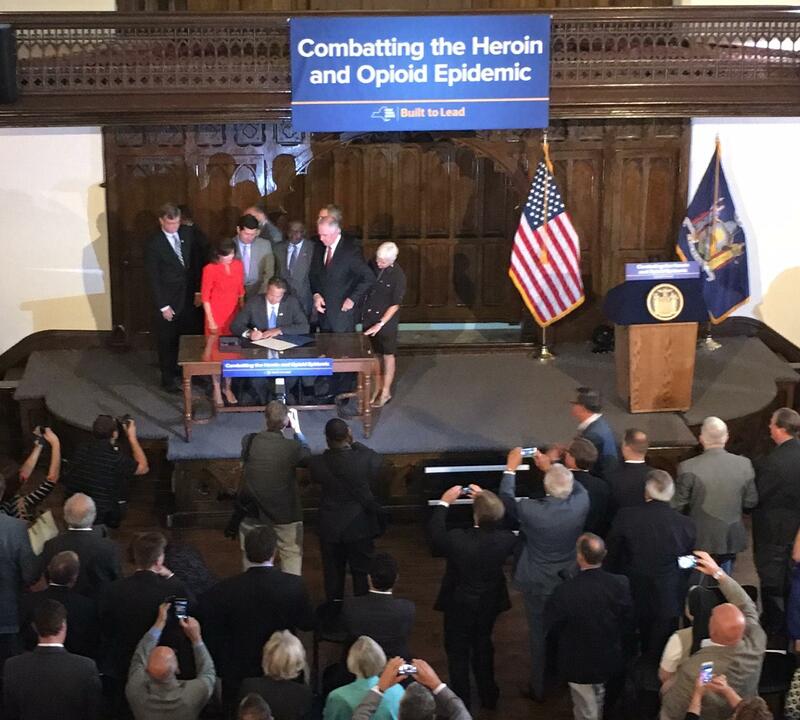 Andrew Cuomo stopped in Buffalo on Wednesday to sign new legislation to fight the opioid crisis. Gov. Cuomo signs new legislation to fight opioid epidemic at Evergreen Commons. Speaking to a large crowd in Evergreen Commons, a former church at Georgia St. and Prospect Ave., Gov. Cuomo said under the new law, insurance companies no longer have the right to stop a medical decision. Avi Israel has been pushing for drug and healthcare policy changes since his son, Michael, died nearly five years ago. After the signing event, Israel said he is happy with the legislation. 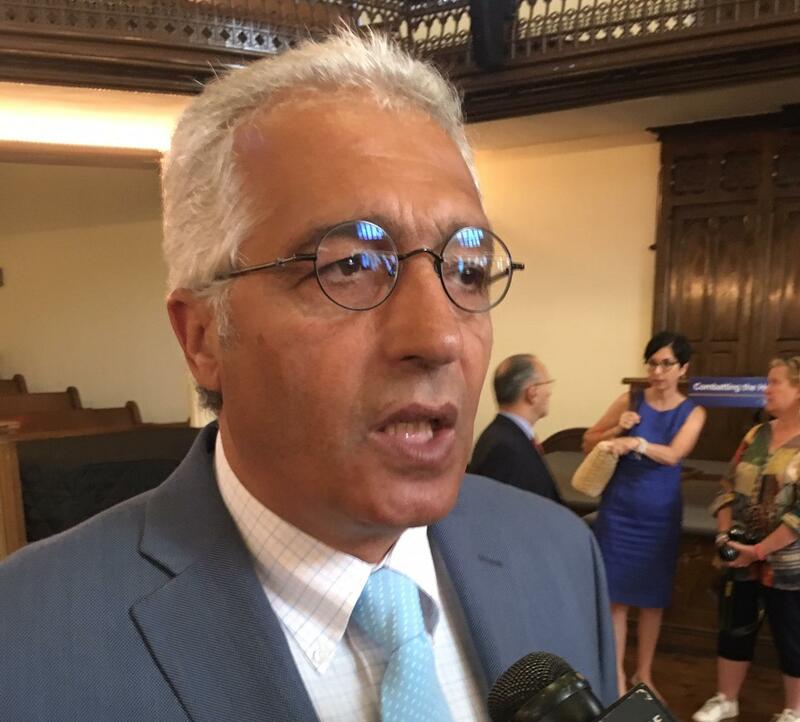 Avi Israel speaks to reporters after new legislation was signed to fight opioid epidemic. "It's not going to help my son and some other people who have lost kids. But it's going to make sure that plenty of lives will be saved." The law also limits opioid prescriptions for acute pain to seven days. It allows patients to be held for 72 hours after an overdose and it adds nearly 2,500 treatment beds statewide.